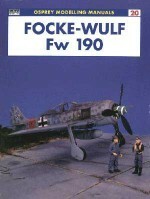 The Focke-Wulf Fw 190 is regarded as one of the best fighters of World War II. 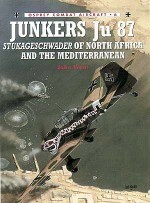 Designed by Kurt Tank, it first saw combat in the summer of 1941 and went on to be produced in several variants. 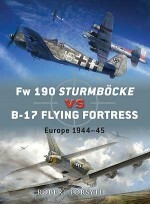 It remains a hugely popular subject for aviation scale-modellers. 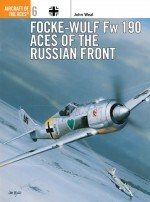 This book, the first of two to cover the Fw190, provides a detailed, step-by-step guide to modelling the Fw 190's A, F and G variants in 1/72, 1/48, and 1/32 scale. 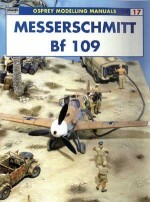 Key aspects such as creating mottled camouflage patterns, undercarriage and cockpit detailing, final weathering and finishing, and diorama bases to display your models are covered. 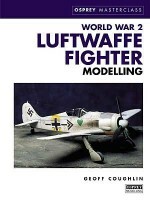 Geoff Coughlin is a highly regarded aviation modelling author: for Osprey he has previously written Luftwaffe Fighter Modelling in the Masterclass series, Modelling the FA-18 Hornet and Modellling the F-4 Phantom II (co-author) in the Osprey Modelling series, and has also written How to Build the Tamiya Fairey Swordfish for ADH Publishing, the publishers of Tamiya Model Magazine International. 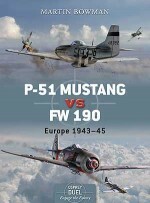 Geoff has a particular interest in World War II aircraft, and the finishing and superdetailing skills he demonstrates when modelling such subjects are renowned. Geoff lives in Hertfordshire, UK.